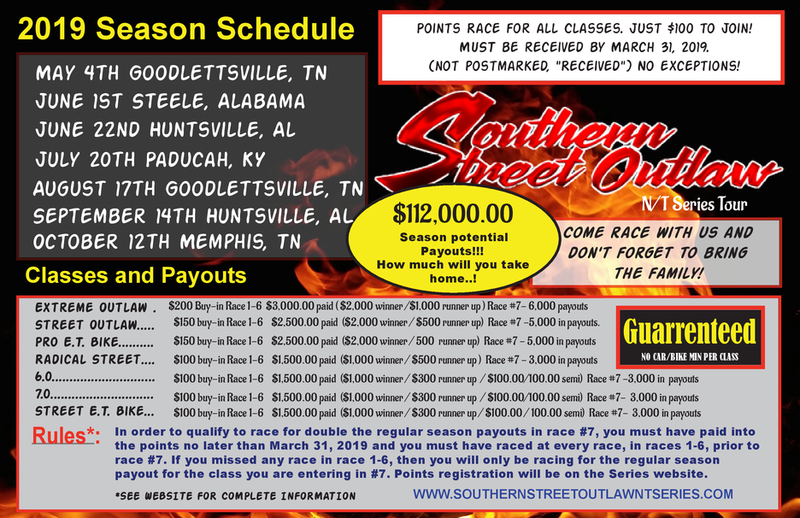 For 2019 the Southern Street Outlaw NT Series will feature Pro ET and Street ET motorcycle classes at seven events. Click here for class rules. Show up and support this series.